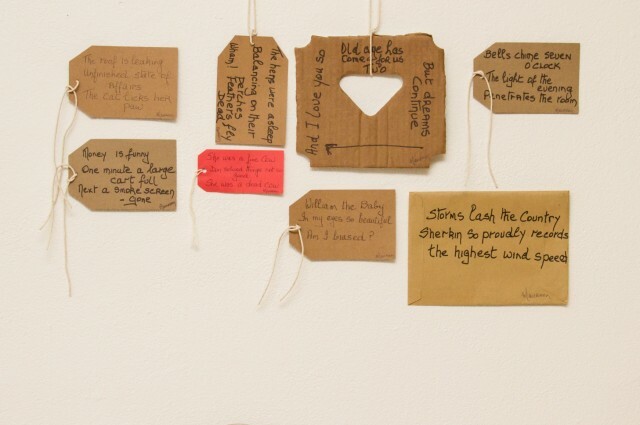 In the winter of 2013, a group of Sherkin Islanders, initiated by Tess Leak, created a collection of haiku poems. 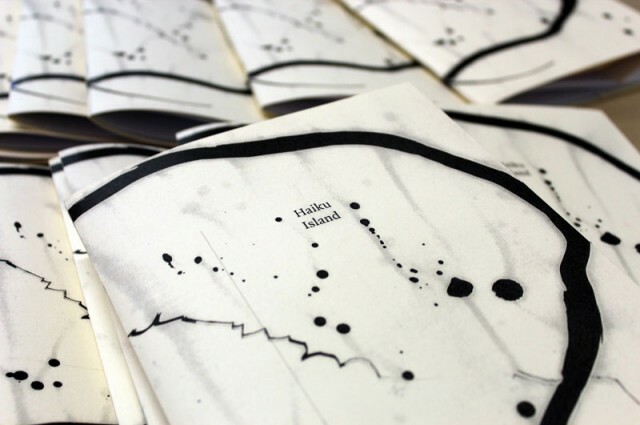 Their words were Inspired by life on the Island in all its forms and complexities. 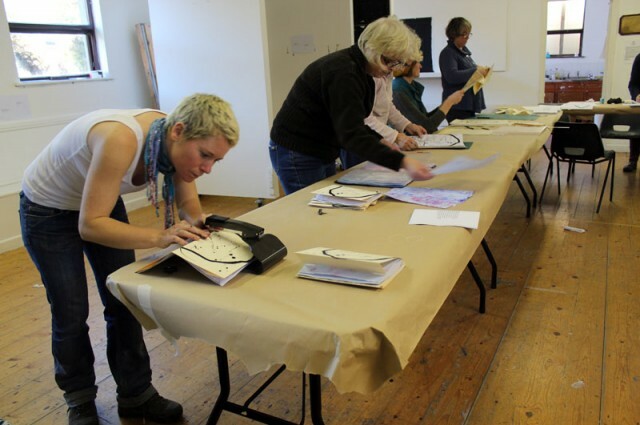 The project was then completed by a one day hands-on workshop with Orlagh O’Brien. 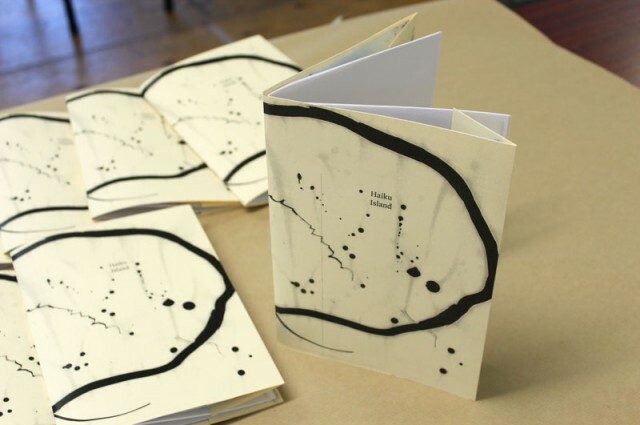 It centered around the participatory design and production of 50 limited-edition books containing a selection of the poems. 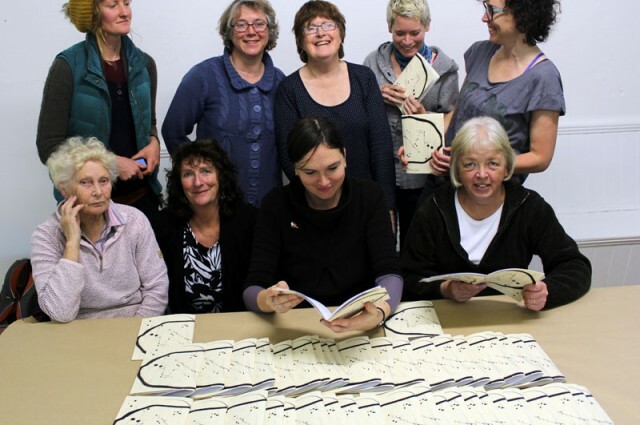 A limited edition of 50 books containing a small part of the collection and was made at a day-long workshop by the hands of the Haiku-Island Poets in their community centre, November 2014. 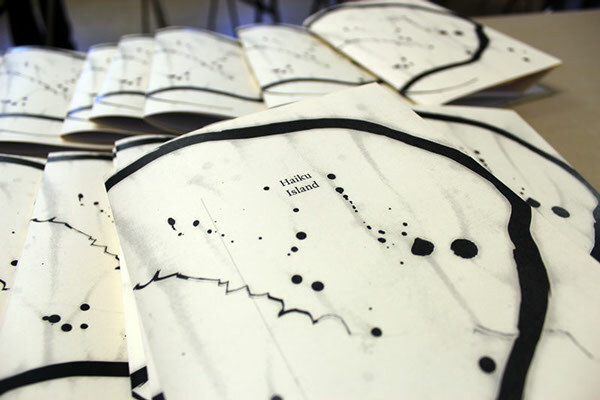 We helped with the setup and layout aspects but was highly impressed at their steady hands on the production line, cover Haiga and beautiful marbled end papers the poets brought to the edition.